The crowning achievement of the Maybach Series is here, Maybach Ambition XXL Edition! It simply doesn't get any better than this. MB XXL contains 35 huge construction loop sets in the style of Rick Ross, Meek Milli, Wale, Drake, and 2 Chainz! We are talking about 6.77GB of explosive club and radio ready content ready to create nothing but hits. This product goes so hard we had a hard time picking the demos....there were just too many hot joints. All keys and tempos are provided, and the loops are formatted in acidized wav, apple, rex, and midi format. 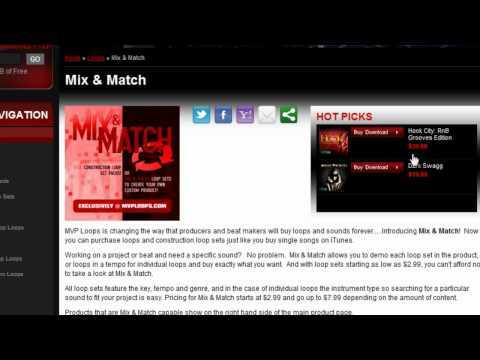 Mix and match loops to create tons of new music ideas. If you only buy 1 urban product this year....make it Maybach Ambition XXL Edition from MVP Loops... Sounds like a hit! Note: This product is not a bundle of Maybach Ambition Vol's 1 & 2 but a collection of 35 brand new kits. This Joint Is So Dope. I Brought It On Friday And Used Some Of The Sounds And Sold A Beat Before Tuesday.